Being exposed to the elements and used to remove rainwater from the property, gutters need regular and effective cleaning conducted at least once each year. You can benefit from our professional work, reasonable prices and great availability in the week. The gutter cleaning which we can offer you ensures removal of blockages, leaves, moss, grime and growth which are likely to be found inside downpipes and gutters. Our services are effective and include inspection, actual cleaning and supervising, making photos and testing the system. 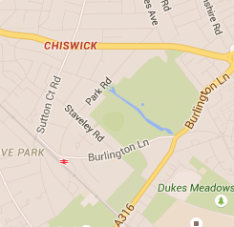 Feel free to contact us and book the gutter cleaning you need and our staff, operating in Chiswick, will provide it. Over time all gutters and downpipes get filled with leaves, moss, grass and debris which obstruct the free flow of water on rainy days. 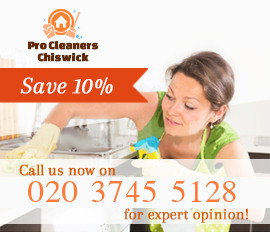 We can offer you our cost-effective and qualitative gutter cleaning services which are at your disposal in Chiswick, W4 every day of the week. Call us to make an appointment with any of our workers and they will clean and unclog the guttering system in the property you own. 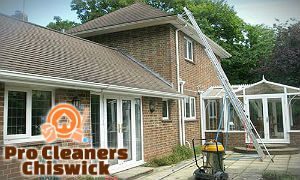 They do the cleaning using special dry and wet vacuum cleaners designated for gutters and carbon fibre telescopic poles which reach to 12 metres. Thanks to the tiny cameras that we attach to the equipment, the cleaning is controlled and implemented safely from the ground. We can supply the customer with photos of before and after the cleaning. For a free quote and effective removal of the blockages from your gutter systems get in touch with our call centre, online form or e-mail. If you skip to carry out the cleaning of the guttering system of your property this may lead to many unwanted and expensive consequences and repairs. 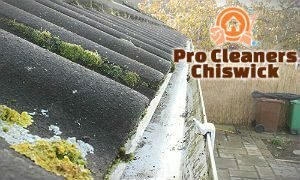 Our company can offer you professional and affordable gutter cleaning in any property, based in SW4, which brings excellent results. We work adhering to the health and safety regulations and supply and bring all tools and equipment necessary for the cleaning.